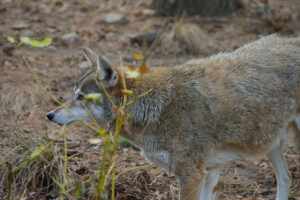 Wildlife killing contests target animals for whom there are no protections — squirrels, fox, coyotes, bobcats, skunks, badgers, prairie dogs, and in some areas even wolves. Prizes are awarded for the most animals killed and usually the biggest or heaviest animal. Many people are not even aware that these contests are held, much less have any idea of the scale of loss inflicted on wildlife. These killing contests are detrimental to predator/prey dynamics and disrupt the health and stability of our already-fragile ecosystems. They perpetuate violence against animals, and send the message, especially to impressionable children, that killing is fun and animals have no value. I believe most people oppose this type of wanton killing. Please be an advocate for wildlife and the lives of all animals.